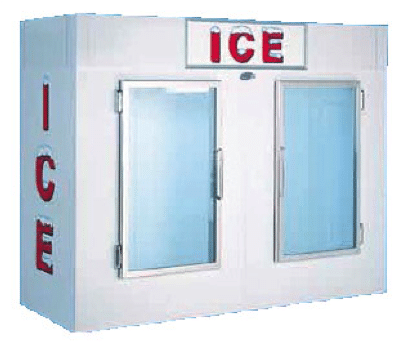 We supply a large range of commercial indoor and outdoor ice boxes, available in solid door and glass door models. 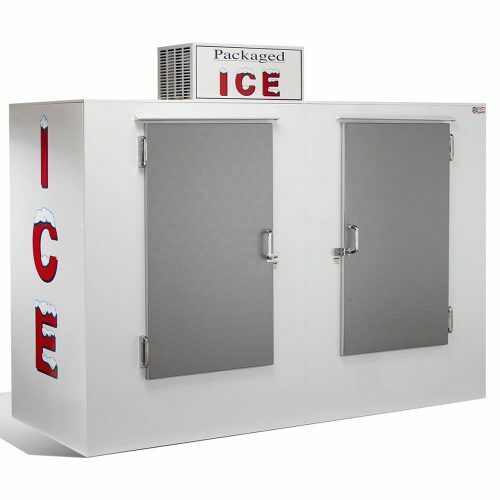 Ice storage boxes perfect for convenience stores, service stations, supermarkets, bottle shops and anywhere a large amount of ice bags need storage. 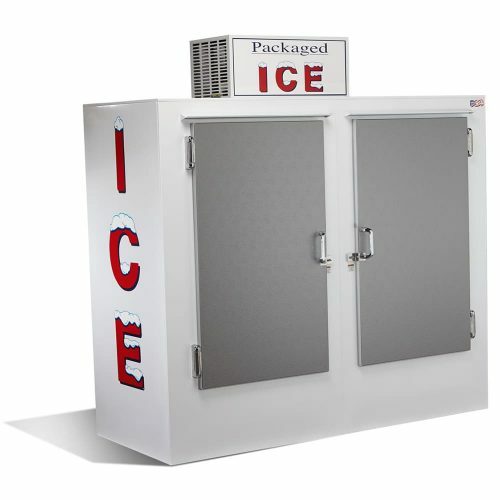 Ice boxes refrigerate by static coils that run around the walls of the box and then back to the compressor. 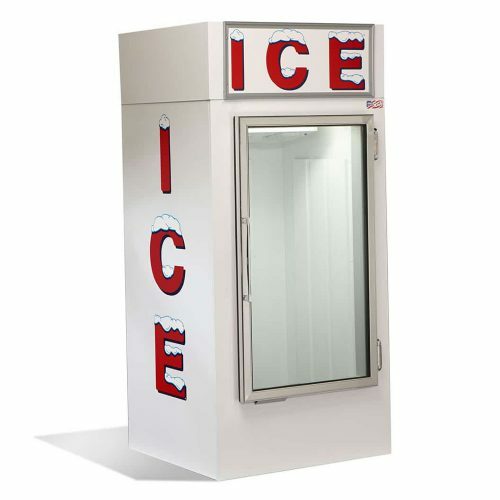 Ice merchandisers designed like this so that you have a bigger capacity inside for more bags to store. 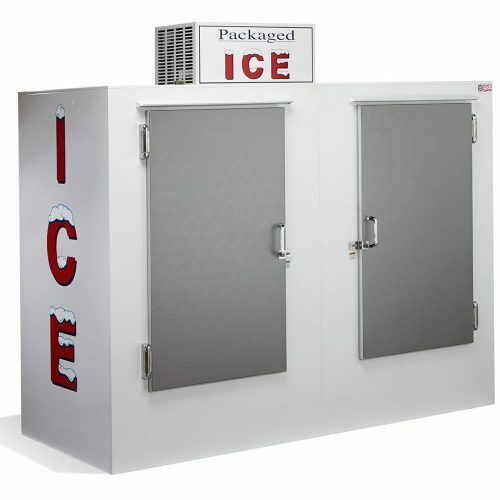 Commercial ice storage boxes sit on about -10c temperature for storage of bags of ice. As water freezes below minus 0 so there is no need for the freezer to be running down to -18c like your common food storage freezes. 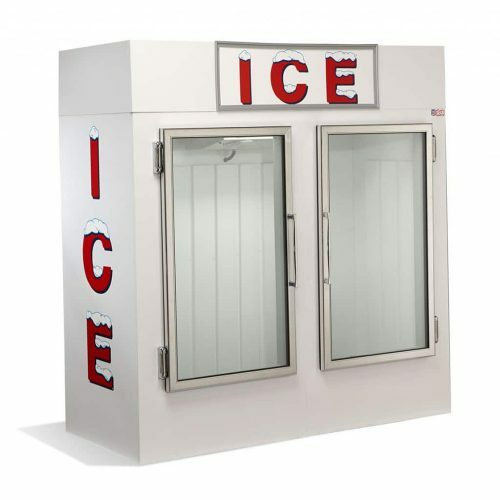 Glassdoor ice merchandisers are perfect for inside the store for customers to get quick bags of ice. The manufacturer recommends NOT to have these outside. 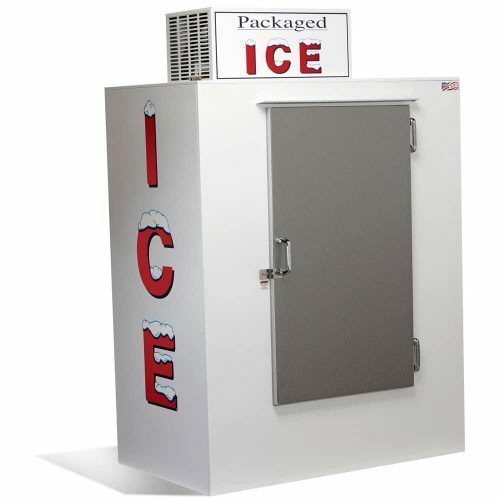 They can be damaged by the weather if you wish to have an outside ice storage freezer. You would want to have a solid door model. A 2” Thick reinforced doors with welded PVC frames. 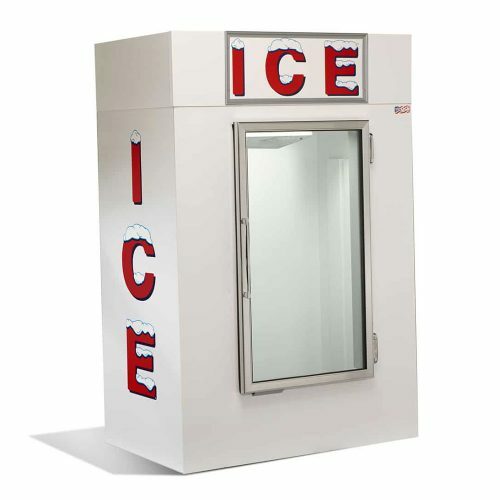 The walls and ceilings of an ice storage freezer are 2 & ½” Thick foamed-in-place polyurethane insulation and is a 3” insulation in the bottom. All units come fitted with door locks so you can quickly lock these if needed. 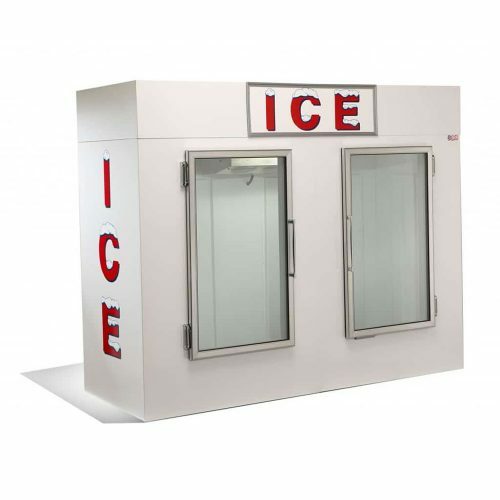 If you’re after something a bit smaller for storing ice bags, try looking at our Upright Freezer Units.